Reviewing a Compile Heart game is always a fascinating, yet challenging, experience. It always feels as though I’m writing to two completely distinct crowds. First, there’s the casual JRPG fan that has a specific set of a standards as to what they look for in a game of this genre, such as a compelling story or a straightforward combat system. Then you have the diehard Compile Heart fans that truly eat up the developer’s style, characters, and often eccentric gameplay mechanics. While I certainly hope that I can supply everything one would need to know from either camp, it should come as no surprise that this game is really only going to be a fit for the latter crowd. 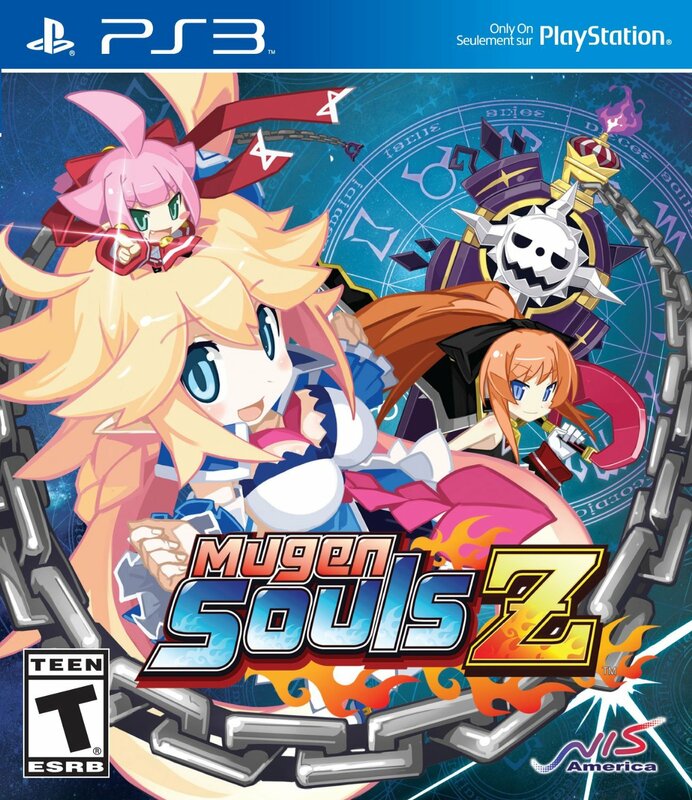 I’m not going to lie to you, I strongly disliked the original Mugen Souls. It takes a lot to compel me not to finish a game, and I played only as far as I could go before the obtuse mechanics twisted my arm to the breaking point. 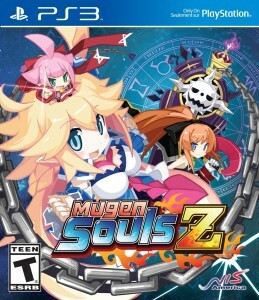 Now, this very same thing happened with Hyperdimension Neptunia, but after an engine overhaul with the sequels, I got a fair amount of enjoyment out of them (even if they weren’t perfect), so I expected something similar with Mugen Souls Z. While I’m pleased to say that it is an improvement over the original (and I indicated as such in my preview), it’s still not enough to where I can recommend this to anyone other than existing fans. 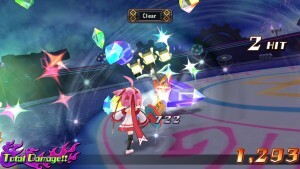 If you missed out on the original game, it centered around self-proclaimed Undisputed God of the Universe, Chou-Chou, as she decided one day to set her sights on seven worlds and claim them as her own. To do that, she had to defeat one hero and one demon lord from each one and make them into her peon. Well, she did that. 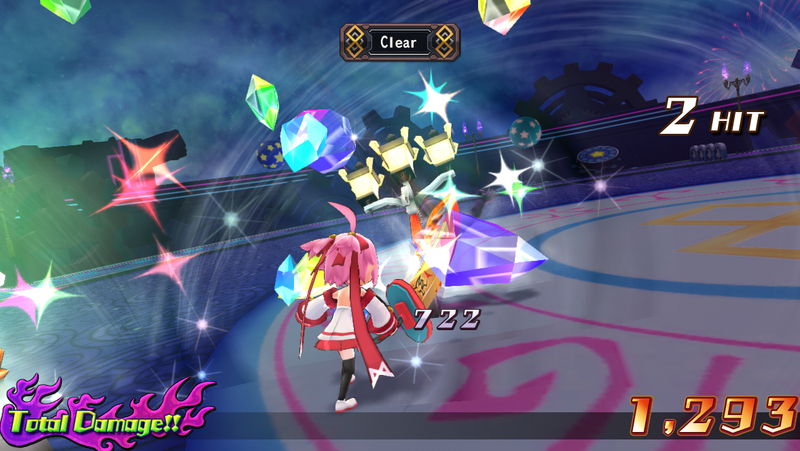 Now in Mugen Souls Z, Chou-Chou realizes that the universe is a big place and decides that twelve more worlds would fit nicely into her collection. This becomes the game’s plot in a nutshell. Now, her quest isn’t without complications. On the first world she touches down on, she encounters the Ultimate God Syrma, who had just awoken from a long slumber (from within a casket of all things) along with the hero, Nao. After defeating the duo, Chou-Chou takes interest in Syrma’s coffin and stumbles inside. Before she realizes it, the door shuts behind her and the coffin fills with a strange goop that becomes the central point of innuendo from that point forward. Oh, and it saps all of her goddess powers. Since Syrma’s true power is only unlocked by absorbing the beings that got separated from her, Chou-Chou decides to aid her, in hopes that her powers will seep out of the coffin and become hers once again. Nearly every character from the original is encountered again in some capacity, as they were all dropped off on each of the twelve worlds in hopes of speeding things along. They weren’t that likable then and they still aren’t now. Chou-Chou is just as much of an insufferable brat as she always has been, though now that her role has been reduced, she’s far more tolerable than before. Ryuto is still a major pervert as well and prone to the sporadic nosebleed. Fortunately, the newcomers are far more appealing. Syrma as a character is very reminiscent of Plutia from Hyperdimension Neptunia Victory, which is fitting, since they also share the same English voice actress. The airheaded heroine caricature has been used a bit too frequently in the JRPG space over the last few years, but it comes as a relief in this game when you compare it to the alternatives. The other new protagonist, Nao, brings with her the gimmick of normalcy, as she constantly questions the oddball behavior of the others throughout the game. Such a character is not normally a godsend in a script intended to be humorous, but since the dialogue is no more funny than its predecessor, she is great to have around. One can only handle so many breast jokes and sexual innuendo outside of a Suda51 game, and this is without the risque minigames that were cut from the North American release. The graphics engine moves a bit smoother in Mugen Souls Z, though frame rate sputters and long loading times are still an issue. In fact, many of the assets from the first game are reused here, including character models, portraits, and combat dialogue. Cutscenes are primarily static images combined with text and voiceovers, with the occasional Jpop dance number thrown in, which is perfectly fine. 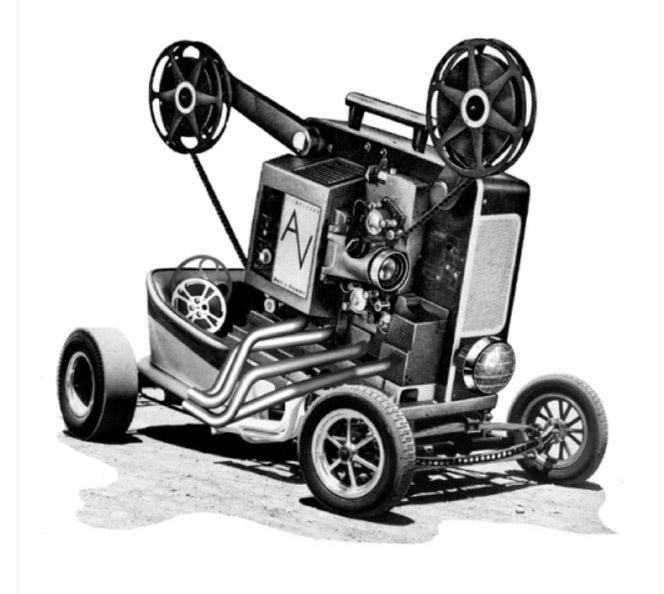 Just don’t expect a huge engine overhaul. The English actors do a fairly solid job this time around, and the soundtrack is just as weird and kooky as the rest of the game tries to be. All in all, it’s about what you’d expect from a Compile Heart production. 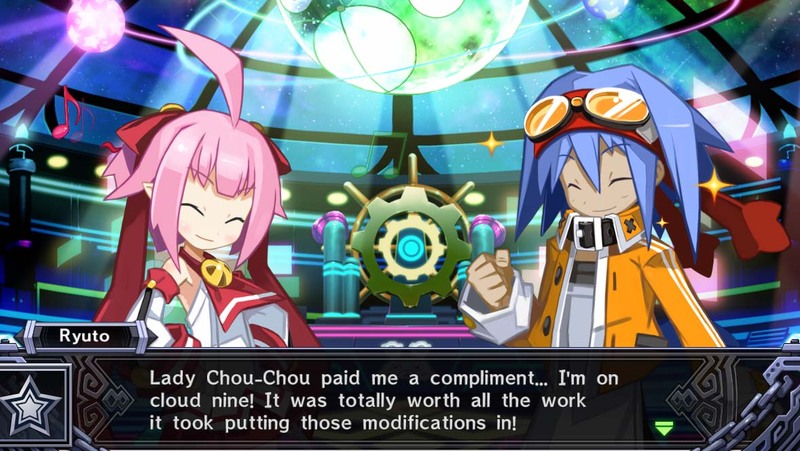 If you’re new to Mugen Souls, then the basic flow goes like this (and if you’re not new, you can skip this part): you must travel from planet to planet, tripping all of the event scenes while occasionally engaging in turn-based battles along the way. The event scenes are just that, cutscenes, that chronicle your quest to track down the Ultimate God of each world. Enemies endlessly spawn all over the map, though if you manage to strike them you can earn yourself a leg up in the ensuing battle. I’m a bit perplexed that you STILL can’t save anywhere and have to rely on save points or returning to your ship, as while it’s manageable, it’s still a nuisance. During a character’s turn, they can move a set distance away from their starting point, and from there, can attack any enemies so long as they fall within range of one of their attacks or skills. 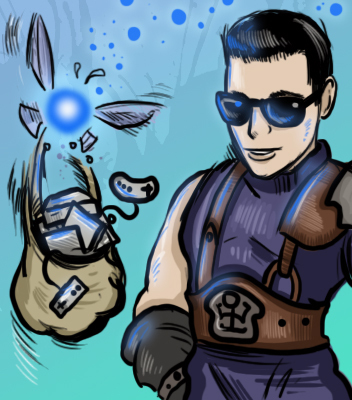 Crystals litter the battlefield and can offer beneficial effects, such as added experience or a higher dodge rate. As before, all four characters of your main party can participate in Linked Skills that employ over the top animations for increased damage, and any character can be swapped out for one in the back row. Continued damage to enemies will build up what’s called Damage Carnival, which in turn leads to more G (currency) and Mugen Points (other currency). There’s a great deal of other mechanics that come into play as well (such as ping-ponging enemies via Blast Off), meaning the complexity hasn’t come down all that much, though the game is at least better at explaining it to you (more on that in a minute). Syrma, having Chou-Chou planted firmly on her head, has a plethora of unique abilities that she can utilize during her turns, the core of them being Captivate. The purpose of Captivating enemies is to transform them into Peons, which come in the form of these weird rabbit things called Shampuru. The more Peons you have, the more powerful your G-Castle and Peon Ball (which is now called Ultimate Soul) becomes. For each use of Captivate, you get to choose from three different poses which have the potential to have three different effects on the enemy. If you fill up the bar for Peon Change, then congratulations, you just earned a bunch of peons. There’s also Item Change, which is pretty self-explanatory, and then there’s Enrage, which heals your foes and sends them into a frenzy. Fortunately, it’s much easier to get the desired outcome since you can visualize the effects better. It doesn’t make this ability any less of a chore to use, since you also have to consider transforming into different forms depending on the affinity of your foes. In other words, whether they like a masochist or a sadist, it’s on you to match their fetish. Unlike before, you can now transform once per turn as much as you want, which is a bonus. If you can successfully pull this off on one of the large crystals in the field, you can affect the entire enemy party. 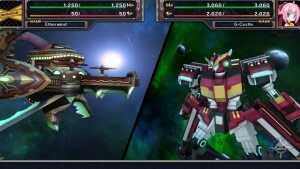 Another aspect of the combat involves the use of the G-Castle to fend off other enemy ships. The G-Castle, being Chou-Chou’s spaceship fortress of sorts, is able to transform into a giant robot and fend off opposing forces. These encounters work very much like the duels in Suikoden games, where the character dialogue acts as a hint of what you should do next. Are they going to reflect the next attack? Attack themselves? Heal? These are the things you have to mull over before you pick an action, and the results seemed a bit more consistent than they were in the prior game. G-Castle is also host to a number of shops and services, including a Peon creator (which lets you essentially build a new party member from the ground up), a hot spring for temporarily boosting your power on the field, and the Mugen Field for easy grinding and ability acquisition. Mugen Field has been made more approachable due to allowing the player to leave once they hit a checkpoint and be able to start right back from that spot again to progress. 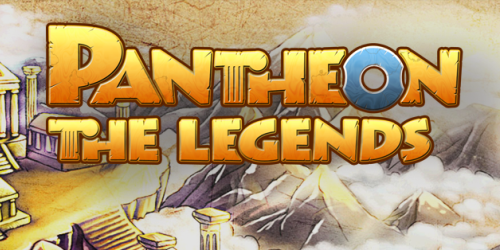 The game’s challenge has been jacked up a bit to compensate for this accessibility, so progression isn’t necessarily just as easy as leveling beyond your means to tackle the problem. While I’m on the topic of accessibility, though the core experience is relatively unchanged, the mechanics are far better explained, as well as tweaked for the better. For starters, new features are introduced more slowly than they were before, giving the player more time to get acclimated before throwing them something else. Captivating enemies is not as much of a crap shoot as it was either, since you can visualize the effects of each pose before choosing. Syrma’s coffin grants her new abilities after absorbing the Ultimate Gods, so she can do such things as jump and fly as the game progresses, giving you reason to revisit old worlds. Oh, and if you are confused about something or forget how to do it later on, the tutorials can be accessed at any time by hitting the select button. 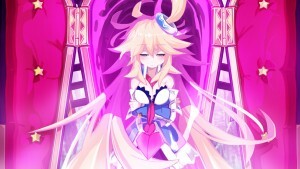 Mugen Souls Z is absolutely a better game than the original as a result. That being said, it’s still not a game for everybody. I had thought that, if the mechanics were fleshed out better, then perhaps the game could realize a much more broad appeal. I’ve come to realize that even though such things as Captivating enemies is far less laborious than it was before, it’s still a repetitive process and not all that much fun. Meeting the requirements to make the land your Peon (yes, you can enslave the ground you walk on) still involves meeting minimums for battles or increasing charm levels for your various forms, which in turn requires somewhat of a grind, something I dread outside of pursing optional content. 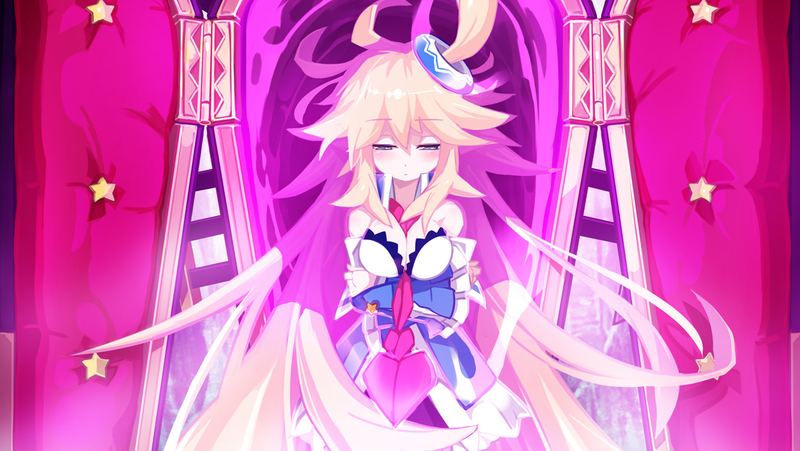 It’s clear to me now that Mugen Souls is not going to get the overhaul that I had hoped for, and that it’s not the franchise for me. If you couldn’t get into the original, it’s not going to be for you either. 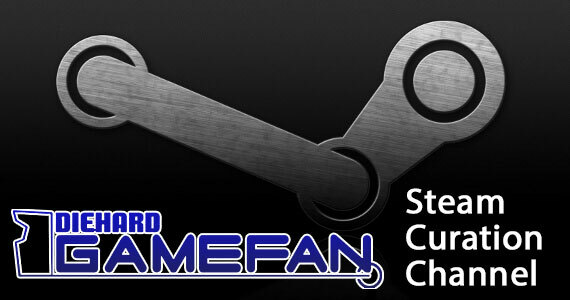 However, if you are an existing fan, then you are definitely in for a treat. But, you knew that already. 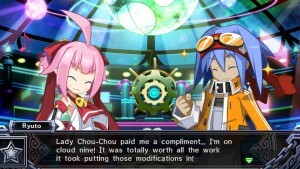 Mugen Souls Z tries its best to improve upon the groundwork laid by its predecessor, and to that end, it succeeds. It’s a more accessible game as a whole, features new characters that are far more likable, and the mechanics require less guesswork. The problem is that while Compile Heart was able to make it easier to interpret their original vision, it’s one that most people won’t find all that appealing anyway. Captivating enemies feels like a chore, grinding is still a necessity to an extent, and the returning cast still isn’t all that likable. I’m glad I gave Mugen Souls a second chance, but it’s still very much a fan’s only game with limited appeal, and one I can’t recommend to the casual JRPG fan. It is easy to see the improvements when comparing to the original game since it keeps it’s core mechanics but sadly the story mode still requires conquering worlds because Chou-Chou is greedy and wants to conquer them. That was a very fair review and it was cool to add a seperate review from a niche’s point of view since it’s not a game that appeals to everyone. 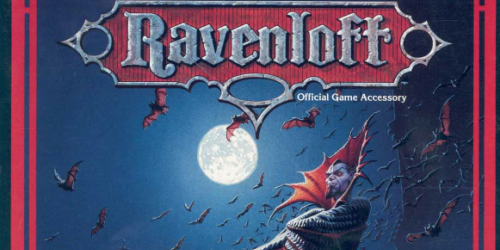 Even if the reviewer didn’t like they still said it would be a great game for fans of the original game because it’s a step up from the original and more challenging.